When it comes to winter outerwear, it seems the puffy coat is the new king of fashion. People of all ages and lifestyles have made it a cold-weather wardrobe staple. Understanding the difference in materials and technology from one insulated coat to another can help in selecting the right one for your needs while also maximizing its performance. DOWN INSULATION. A down jacket is filled with duck feathers or goose feathers or a combination of both. The loft (or fluffiness) of the feathers creates thousands of tiny air pockets which trap warm air and retain heat exceptionally well. These properties are what make down lightweight, breathable, compressable (packs small), and long lasting when properly cared for. The downside to down is it loses its insulating ability when wet, and it takes a long time to dry out once wet. Natural down is also more expensive with goose down premium priced over duck down or duck/goose combinations. Down also requires special cleaning since harsh detergents can break down the natural loft. SYNTHETIC INSULATION. Many puffy coats or jackets may look like down from the outside but are actually filled with polyester fibers that are constructed to mimic the loft of natural down. Unlike down, these synthetic compositions retain their insulating abilities even when damp or wet, although they do not retain heat as well as down. Because of this, more synthetic fill is needed to achieve the same warmth, which makes it heavier and bulkier than down. 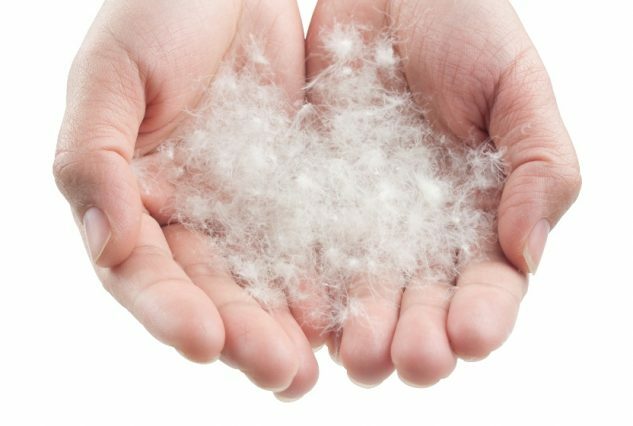 Synthetic insulation is usually less expensive and easier to clean, and a great alternative for those allergic to goose or duck feathers. Polarguard, Primaloft, Thinsulate and Thermolite are some of the more common synthetic fill fibers. CARE FOR LASTING WEAR.To help increase the lifespan of your insulated jacket it is important to clean it periodically but no more than twice a year. Down’s unique properties requires extra care and special attention to protect your investment and the garment’s performance capability. So before tossing anything into the wash, carefully read the care label and product warranty (if any). Some brands recommend dry cleaning only and void the warranty if you wash the product yourself. Other brands recommend that you do not dry clean their coats. Some eco-friendly drycleaning methods like GreenEarth used at Best are gentle enough to use on “do not dry clean” items.If machine washing is the recommended option, never use a top loader washing machine – the agitator can easily rip the exterior shell fabric and/or the insulation. Only use a front-loading machine on gentle cycle and either line dry the garment or use the dryer at low heat to prevent melting of fabric or breaking of fibers and feathers. If using the dryer, put a CLEAN tennis ball (nothing heavier) in with the jacket – the pounding helps the insulation and fibers stay in place.